So by now I’m guessing that most of you will have seen the fabulous Stella Artois Zeppellin flying over London, or even if you haven’t seen it first hand you’ll have seen the coverage in numerous newspapers and on the gogglebox. Firstly can I just say congratulations to whoever at InBev decided to go with this opportunity. It’s an inspired piece of sponsorship that fits perfectly with the brand personality that Stella has spent so long building over the years. The Zeppellin is a joy to see flying over London (especially during this mini heatwave) and epitomises the inspirational exculsivity that is the Stella Brand. 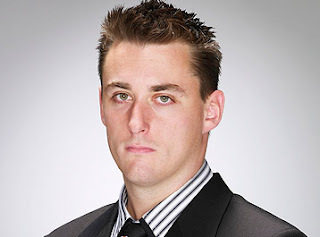 It’s also a brave move because the venture was dreamt up and put into action by ex-bankruptee and former “Apprentice” candidate Rory Laing who was fired in just the second show of Season 3.(http://www.newsoftheworld.co.uk/apprentice_2007/can_rory.shtml) . Considering the quality of the winners of The Apprentice, I’d understand clients being slightly concerned about committing considerable sums of money to one of the losers! However congratulations to Rory as well, he has definitely found an unique and differentiated way of cashing in on his 15 seconds of fame and he can definitely claim to be a real entrepreneur now. Secondly I’d just like to say how jealous I am. This opportunity was brought to me by our sponsorship and promotions department before Stella had even heard of it. I was extremely excited by it and I virtually begged my client to sponsor the Zeppelin. They also got very excited by it but in the end their risk averse nature and their relatively small budgets meant that it never got off the ground (pun intended). As my relationship with the client has developed since I now know how I should have sold it and I guess I’ll learn from it for next time, but until that time I’ll have a little cry every time I see it hovering over some of the most identifiable landmarks in the country.